Technology is evolving faster than most businesses can keep up. In 1993, the average US household didn’t have internet connection, 15 years later 60% of households had high-speed broadband. In 2007 the first iPhone was released, 7 years later 75% of Americans owned a smartphone. Since then technology has only picked up speed. It is developing and changing right before our eyes. Solutions that are cutting edge one day are old news and dated just a few months later. 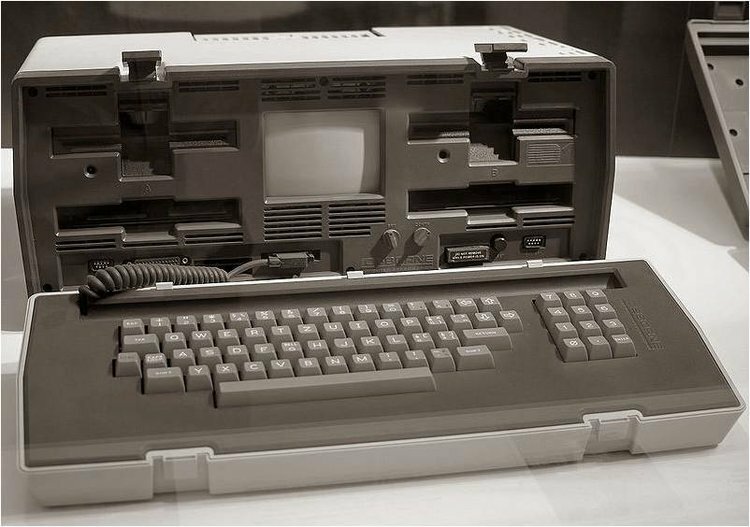 The first laptop, the Osborne 1, was released in 1981 and weighed 25lbs. While technology is getting better and less expensive simultaneously, it still isn’t cheap, especially when purchasing it for an enterprise. The costs associated with updating an entire office’s technology can feel astronomical. The financial blow is only exacerbated by the fact that you know that you’ll need to update it again in just a few years. So how can you have the latest and greatest workplace technology and keep it that way without draining your capital budget every year with large expenditures? You pay for it monthly. The next time you need new networking equipment, audio visual systems, or access control doors, you can lease instead of buy. ASD® wants to help its clients consume technology in a way that meets their cash flow and budget needs. Technology doesn’t have to be a CapEx forever, especially when it's more manageable as an OpEx. If you’ve never considered leasing your workplace technology, then you’re missing out on some of the incredible benefits. You won’t have to budget for a future technology upgrade three years from now. Instead, you’ll get a manageable, pre-determined monthly line item which can help you budget more efficiently. In a recent survey of 500 IT buyers, this was one of the top reasons they chose to lease. Keeping technology relevant and fresh is essential to creating a productive workplace. With ASD®'s leasing option we will audit your technology environment every couple of years to find solutions that will improve efficiencies. This way you can always have the newest and fastest equipment. We can then replace the old tech for the new without drastically changing your monthly expenses. When technology evolves you won’t be worrying about your systems becoming obsolete, you’ll be reaping the benefits of the new equipment. By making small, monthly payments for your workplace technology you are freeing up your cash to reinvest it back in your business. Instead of tying up credit and funds with a hefty lump sum, you can put that much-needed cash towards more pressing matters like hiring, advertising, inventory, etc. Since leasing doesn’t require a substantial upfront investment, you can buy the nicer and more expensive technologies. High-ticket solutions that only the “big guys” can afford can be attainable for everyone when you spread the cost out over several years. That means you can gain the competitive advantage now and pay for it as you go along. 27% of executives know that a digital transformation isn’t a luxury but rather a means for survival. Don’t wait too long to update your tech or your competition will eclipse you. Are you signing a capital lease or an operating lease? Is there a buyout option if you want to keep the technology at the end of the terms? Can you add to the lease if you hire more employees or decide to refresh a space? Are maintenance costs included or separate? Don’t wait until the deal is almost done to discuss financing and leasing. Your solution is dependent on your ownership model. Solutions that seem out of your reach can be entirely feasible through financing. Think about it; it’s much easier to get approval for two grand a month than it is for a $200,000 lump sum. Click here to learn more about Technology-As-A-Service. If you want to speak with a representative about your specific needs, contact us below.